Spent some time last week at the Buffalo Transportation Pierce-Arrow Museum. And while I fully appreciated the beauty of the 2017 Ford GT which has just gone on display, it made me come to a realization about myself. I’m just not a supercar kind of guy. Even if I had the dough. Nissan GT-R — (top of page) while maybe not often thought of in the same vein as some of the Italian cars whose names you might hear in a rap song, with a starting price of $175,490 the GT-R NISMO with its 3.8L V6 rated at 600 hp certainly fits snuggly into the group of cars I can’t imagine ever buying. Although, it’s probably the closest in the bunch to what I’d call a normal car. Acura NSX — the first NSX debuted over 25 years ago, and it looked like it was going 100 mph while standing still. 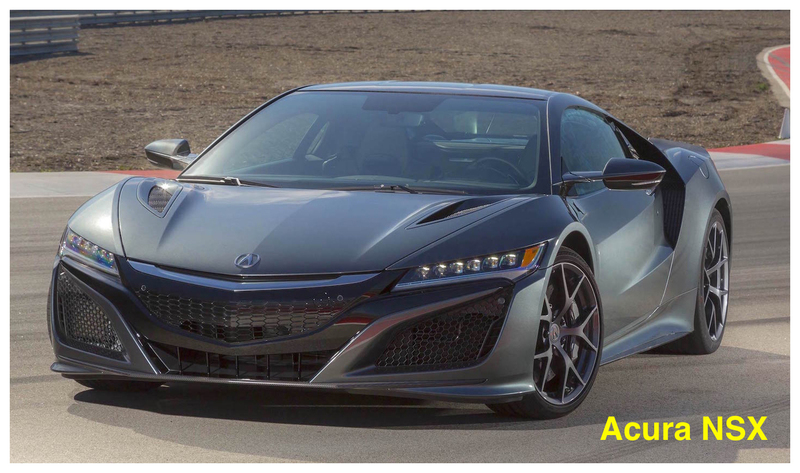 The new NSX came out last year, and while it’s still pretty zoomy-looking, to my untrained eye it looks like it’s trying to be Italian, whereas the first NSX seemed to celebrate its Japanese heritage. Still, with its 3.5L V6/DirectDrive electric motor system spewing out 573 hp, who am I to criticize? And anyway, I said it looks Italian; I didn’t say it looks bad. MSRP starts at $156,000. 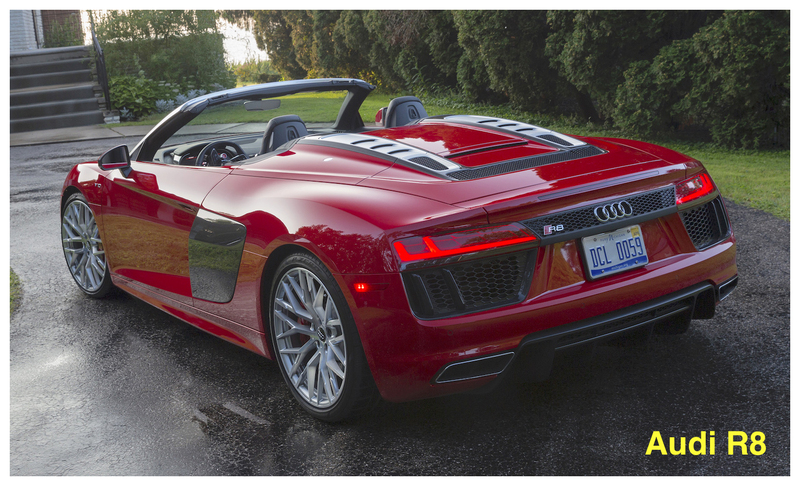 Audi R8 V10 Spyder — the 5.2L V10 of the mid-engined R8 propels it from zero-to-60 in 3.5 seconds. And that 545 hp gives it a top speed of 198 mph. Your $177,100 asking price will also get you an acoustic folding roof, which you can fold at speeds up to 31 mph as you joyfully pull away from guys like me in front-wheel-drive station wagons. BMW i8 —BMW has announced that the newest i8 electric sports car will be introduced next year. The Bavarian manufacturer tells us it will be virtually silent with zero local emissions (all electric? BMW isn’t confirming anything yet). 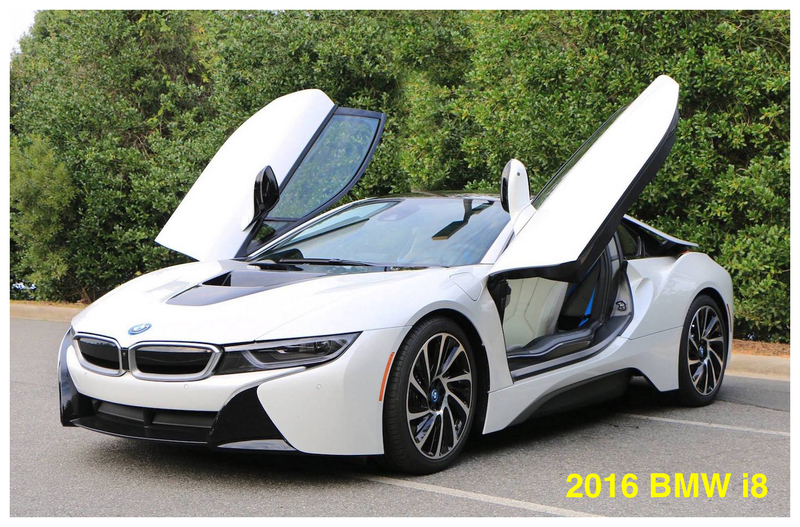 If the past (pictured) car is any indication, the new i8 will be as sleek as any of ‘em, yet undoubtedly a BMW. And this one will be a soft-topped roadster. 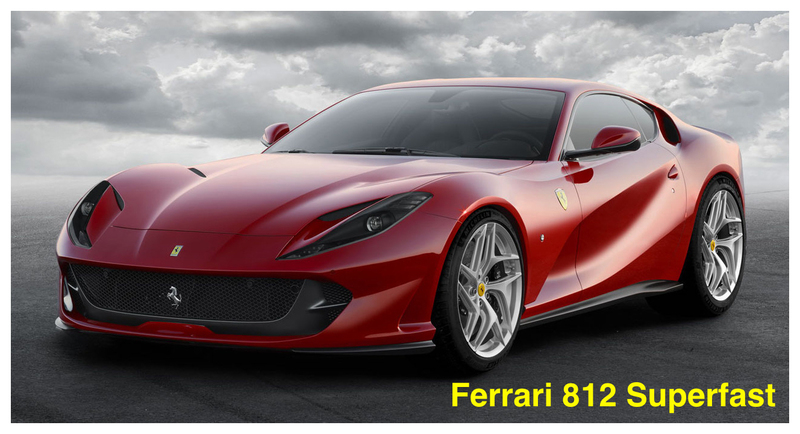 Ferrari 812 Superfast — with a name like that, the bar is set pretty high, but I doubt there’ll be many problems living up to it. With a 6.5L V12 under the hood putting out 789 hp… uh, yeah. 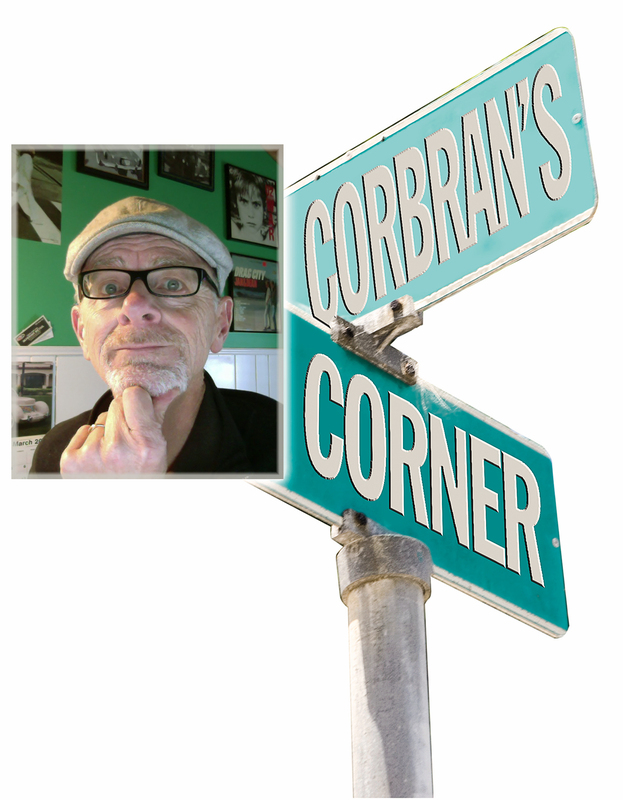 Of course, this all comes at a cost: horrid gas mileage (like that matters!) and a reported MSRP of around $345,000. Lamborghini Hurrácan — another car which looks like it’s moving even when sitting still, Lambo tells us the Huracán is designed to “cut through the air and take your breath away.” The 5.2L V10 sitting behind the seats puts out 571 hp, but you can up that to 602 hp by ordering the all-wheel-drive version. Pricing starts at around $211,500.